From soot paste to Nanolash eyelash serum. The history of eyelash care. 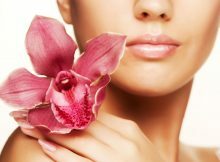 Alphabet of youthful appearance, what ingredients to look for in anti-ageing creams. How to Combine Cosmetics? Hair and Skin Care. How to take care of your skin in autumn? Effective treatments and cosmetics. Samples and travel size cosmetics. How to use them? How to become younger in just 21 days? Avene Serenge Serum. How to get rid of blackheads? A few reliable methods. Always beautiful Copyright © 2019.